Everyone can stand to get out the door faster. Save time by considering these ways to organize your hardwood floor entryway. Keep hats and go to jackets organized by giving each person in the family their own basket. If you do not have a large area small boxes or Ikea shelving can do the trick. While you are rushing out the door nothing can be more frustrating than not being able to find the pocketbook you are looking for. By hanging up your purses on hooks not only will you be able to find what you are looking for, but it will also clean up the hardwood floor entryway. This can be great for the tablets the kids take in the car. Keeping everything charged by the door can get everyone out the door quickly. Papers can be easy to lose. Place a bulletin board at the entryway to help stay organized. This will allow you to place mail, notes and your to-do list on the board as you walk in. There are plenty options for shoe organizers and it comes down to your style. 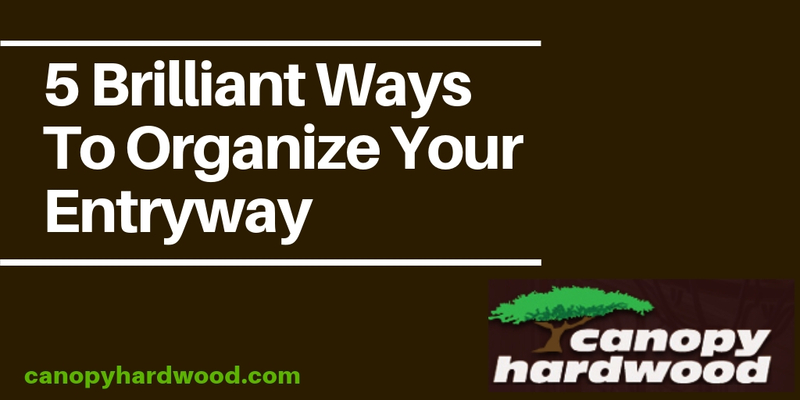 Having an organizer near the door will help keep everyone from just tossing off their shoes when they first walk in and keep your hardwood floor entryway tidy. Previous Previous post: Layering a Rug on Carpet?